Designing frequently involves establishing visual, systemic, or geometric relationships between the parts of a design. More times than not, these relationships are developed by workflows that gets us from concept to result by way of rules. Perhaps without knowing it, we are working algorithmically - defining a step-by-step set of actions that follow a basic logic of input, processing, and output. Programming allows us to continue to work this way but by formalizing our algorithms. While offering some powerful opportunities, the term Algorithm can carry some misconceptions with it. Algorithms can generate unexpected, wild, or cool things, but they are not magic. In fact, they are pretty plain, in and of themselves. Let&apos;s use a tangible example like an origami crane. We start with a square piece of paper (input), follow a series of folding steps (processing actions), and result in a crane (output). So where is the Algorithm? It is the abstract set of steps, which we can represent in a couple of ways - either textually or graphically. Start with a square piece of paper, colored side up. Fold in half and open. Then fold in half the other way. Fold top flaps into the center. You now have a crane. Using either of these sets of instructions should result in a crane, and if you followed along yourself, you&apos;ve applied an algorithm. The only difference is the way in which we read the formalization of that set of instructions and that leads us to Programming. Programming, frequently shortened from Computer Programming, is the act of formalizing the processing of a series of actions into an executable program. If we turned the above instructions for a creating crane into a format our computer can read and execute, we are Programming. Download the example file that accompanies this exercise (Right click and "Save Link As..."): Visual Programming - Circle Through Point.dyn. A full list of example files can be found in the Appendix. 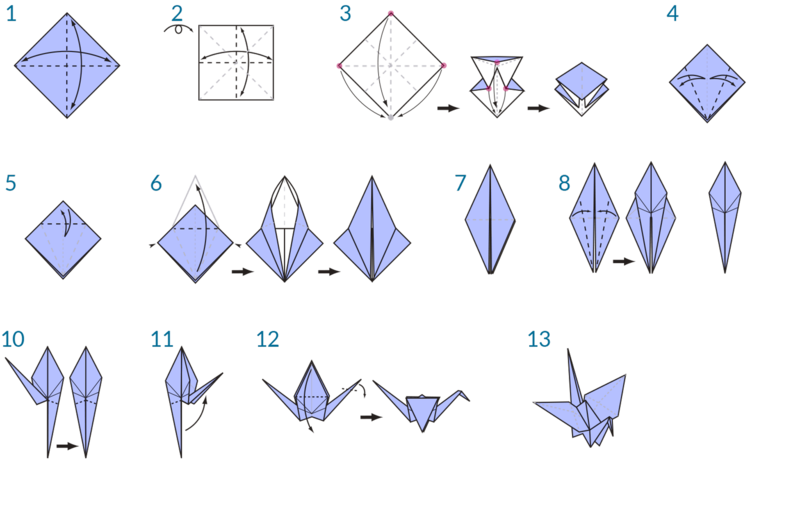 If you were tasked with writing instructions for folding an origami crane, how would you go about it? Would you make them with graphics, text, or some combination of the two? The visual characteristic to programming in such a way lowers the barrier to entry and frequently speaks to designers. Dynamo falls in the Visual Programming paradigm, but as we will see later, we can still use textual programming in the application as well.